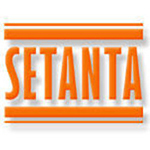 Setanta Records (1989 - 2012) was an independent record label run by Keith Cullen. Focusing mainly on Irish artists (Into paradise, The Power Of Dreams, The Frank & Walters, A House), the label also signed English and Scottish artists such as Edwyn Collins and Richard Hawley. It was thanks to Rough Trade that Setanta received the first demo of The Divine Comedy. Even though Keith Cullen didn’t like their music, his girlfriend did and insisted that he gave them a go . Finally The Divine Comedy managed to stay 10 years on Setanta Records and became the most successful act of them . The collaboration between the band and the label ended after the signature to Parlophone Records and was celebrated by the release of A Secret History. In 2002-2003, Neil Hannon owned his back catalogue from Setanta Records. However the terms of the deal still remains unclear nowadays. Meanwhile the Setanta back catalogue of The Divine Comedy is currently deleted and unavailable with the exception of a recent reissue of A Secret History.